Munching on bamboo and lazing under a fan spraying cooling mist, "Jackie Chan" is in a relaxed mood, one of three red pandas once destined for the exotic wildlife trade but now instead settling into a new home in a leafy Laos sanctuary. The three animals, nicknamed Jackie Chan, Bruce Lee and Peace, were among six found stuffed into crates during a random check of a van traveling from China over the border into northern Laos in January. Dehydrated and lacking food, three died within days, while the survivors were taken to a sanctuary run by the non-profit Free the Bears in the hills around the tourist hotspot of Luang Prabang. It was "very very hard" to save the three who perished, says Sengaloun Vongsay, Laos programme manager for Free the Bears. It was the first discovery of red pandas in Laos, experts said, fueling fears the endangered species may be the latest targets of the illegal pet industry, coveted for their shiny copper fur and "cute" appearance. "They're eating well, they're generally pretty relaxed," said Michelle Walhout Tanneau, operations manager for Free the Bears. Landlocked Laos is a key transit hub in the illegal and lucrative global trade in wildlife, sharing borders with Thailand, Cambodia, Vietnam and China. In January Thai authorities arrested Boonchai Bach, a Vietnamese national with Thai citizenship and an alleged kingpin in Asia's illegal wildlife trade, for rhino horn trafficking. Boonchai and the Bach family are believed to have operated for years from northeast Thailand bordering Laos, where law enforcement is weak and corruption widespread. Freeland, a counter-trafficking organisation that worked with Thai police on his case, on Friday said the 41-year-old Boonchai was this week jailed for two-and-a-half years. 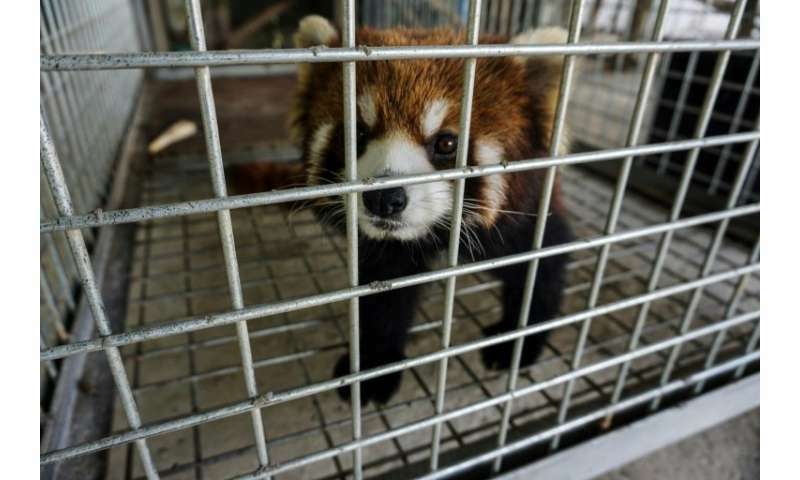 Laos' government did not immediately respond to a request for comment on the red panda seizure, though Free the Bears said that one Chinese national had been arrested over the find. With their forest habitats under threat, red panda populations in Nepal, Bhutan, India, China and Myanmar are vulnerable. Free the Bears has provided temporary enclosures and set aside a section of tree-covered land where the red pandas could live in case they could not be released back into the wild. The two superstar nicknames were given by staff, while "Peace" was chosen by a donor. 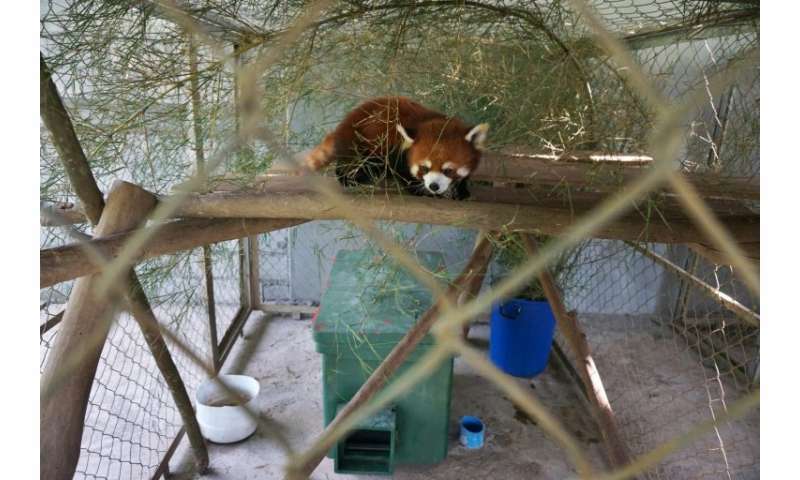 Rod Mabin, a spokesman for the non-profit, said the group was consulting with experts and the red pandas would live in the sanctuary for the foreseeable future. "Ultimately we'll try to make the decision which is best for the future health and safety of the animals and to provide them the best life possible," he said.